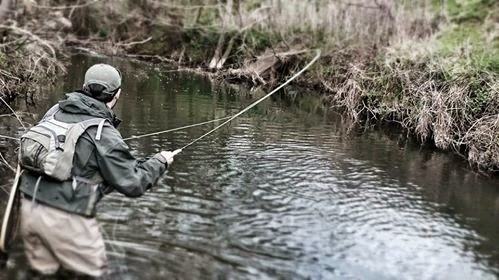 As we move into May, there will be very few river fly fishers who aren't looking forward to the bonanza that is the 'Mayfly'. The appearance of Ephemera Danica on our waters is always a prized time. 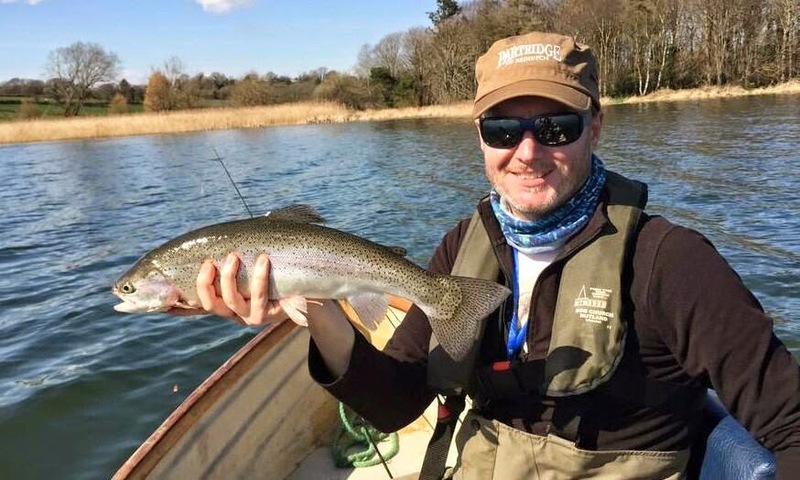 Whether it is fish slashing at newly emerged duns or the rhythmic picking off of spent spinners, it is a special time on our waters. 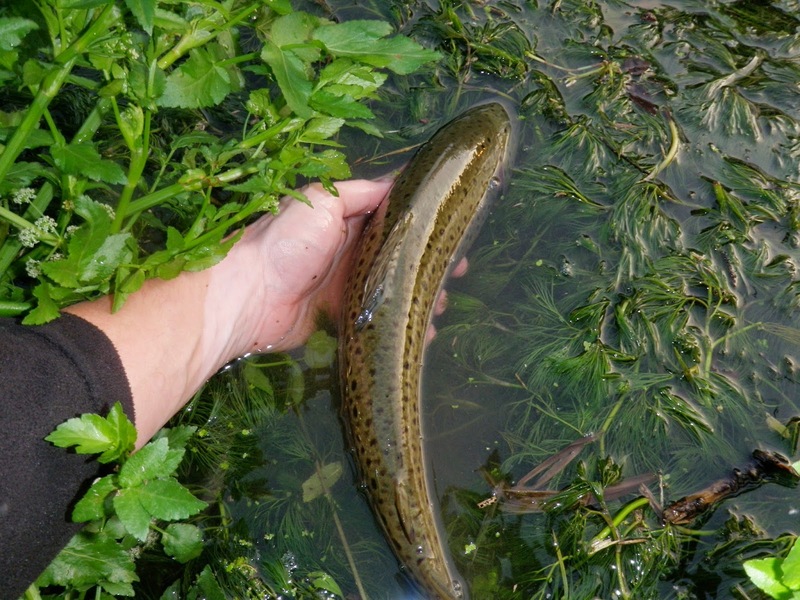 Although my first Danica of the year has been spotted already, it's the last couple if weeks of May into the beginning of June that offers the best of the hatches. Time to get tying! 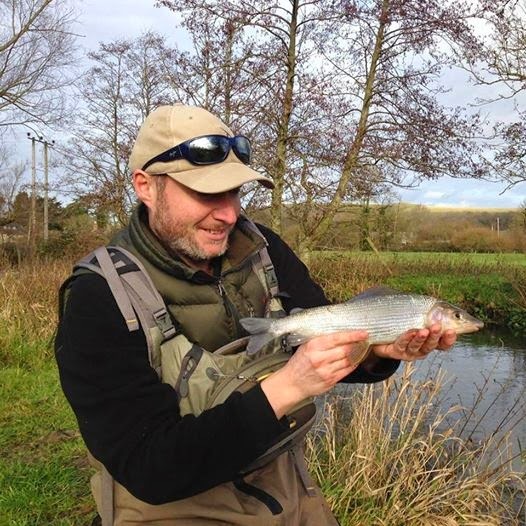 Richard Fieldhouse at Barbless Flies, now offers a new range of patterns to cover every stage if the Danica hatch. Regardless of whether you always buy flies or you are a seasoned tyer, these come highly recommended. 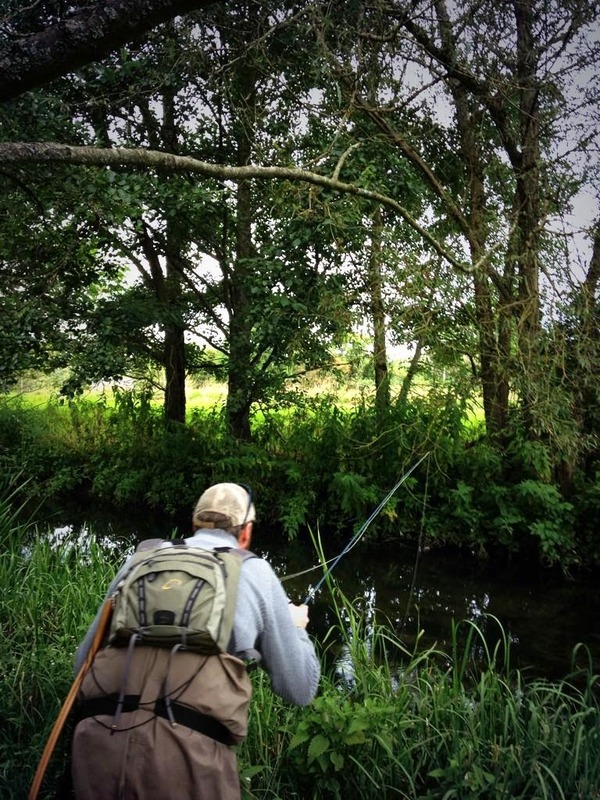 Even better knowing that every purchase you make supports the Wild Trout Trust. 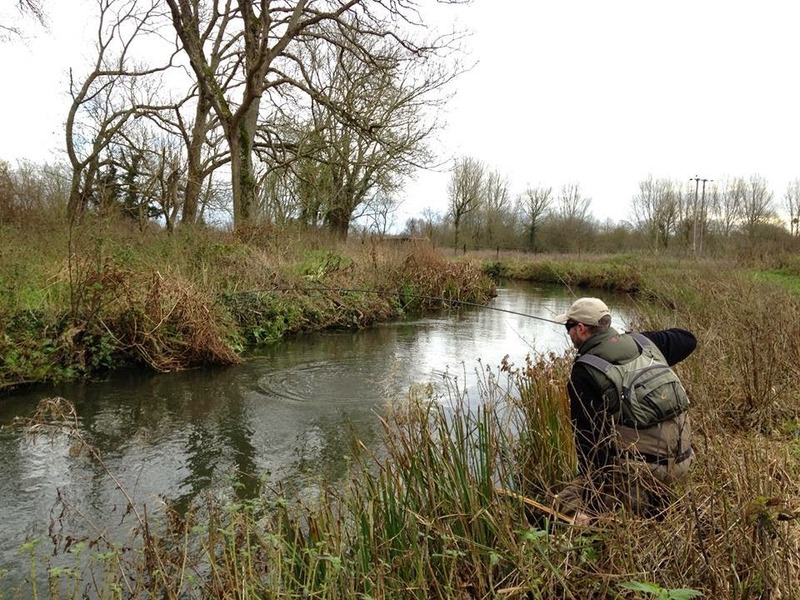 There are four different Mayfly patterns included with two tied on strong size 12 barbless hooks and another two in size 10. The sixteen flies are presented in a six compartment box. All are of the highest quality and are hand tied. First to take a look at is the CDC Mayfly Dun. This has a clipped hackle thorax and a sloping wing of CDC. Good proportions on both the size 12 and the 10, although I think the 10 would be my first choice to match the hatch. The next fly is the Loop-wing Mayfly. The Loop is synthetic rather than CDC and this is a good choice in my opinion. It will take Gink or mucillin well to aid the floatation. The loop could be larger, but I am certain this fly will be a first choice for many; especially for picky fish. The hackle is kept sparse and is clipped underneath. Perfect for fish nailing the emerging naturals too. The next fly is perhaps my favourite in the collection. 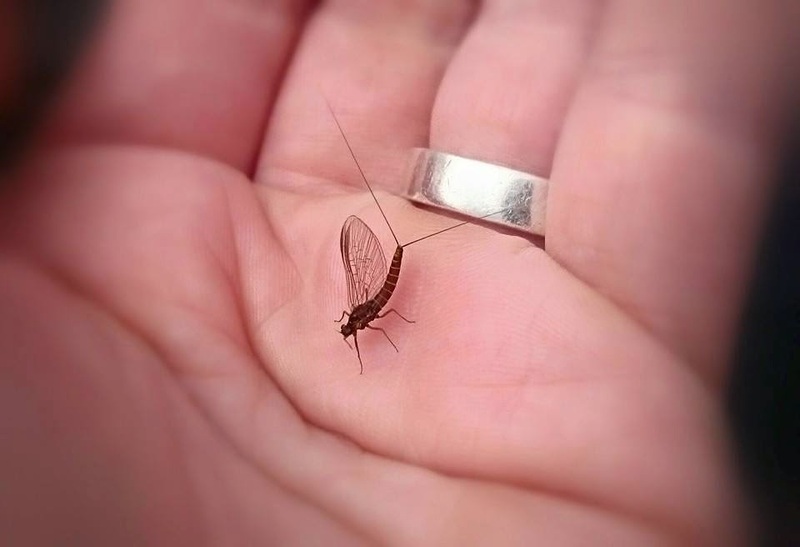 Many Mayfly have stunted wings as they try to hatch and simply do not make the transpose successfully. This matches that exactly. The foam thorax cover and Raffia / Raffine wings give the perfect profile. Again, that wing material collapses during the cast to reduce leader-spin. Finally is the Mayfly Spinner. 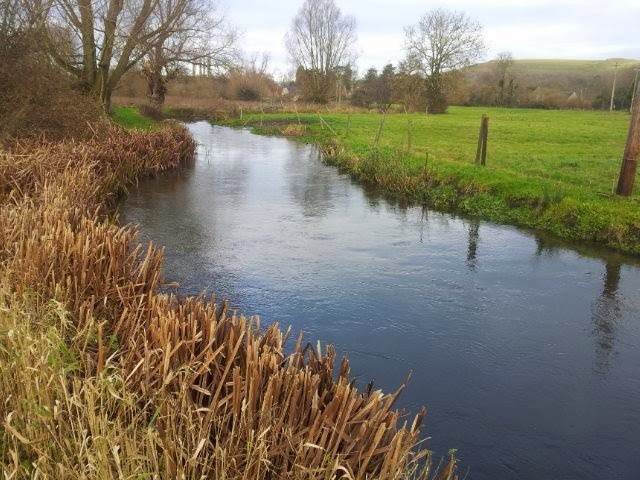 This is an essential part of the lifecyle to imitate as fish will feed confidently on the dead or dying spent flies as they are carried downstream in the current. This pattern is neatly tied with long tails of pheasant tail fibres. The wings are Raffia / Raffine which crumple nicely when cast (so the leader doesn't spin too much) and there is a short 'grizzle' hackle tied around the thorax. Truth be told, you want these in the surface to be effective and the way these are tied will manage exactly that. If they sink, they'll be fine - watch the leader for takes. 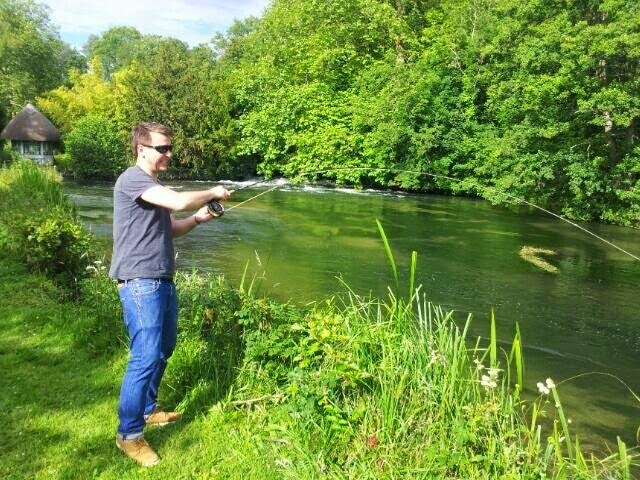 It's a lovely and highly effective way of fishing. These really are top quality flies. They are tied with fine attention to detail, good materials and perfect proportions. 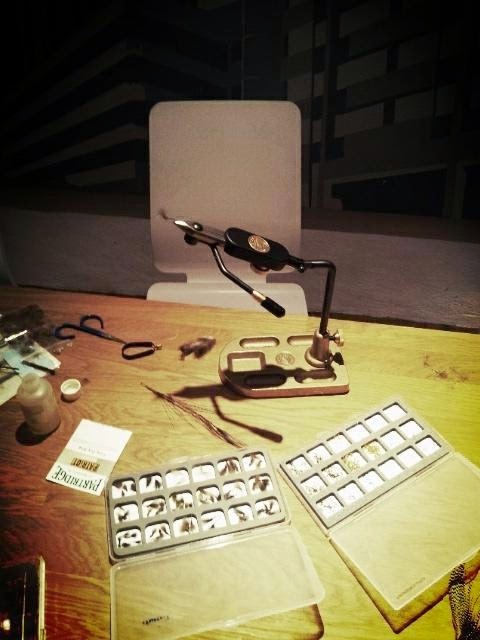 They are bespoke, beautiful flies with a the price tag that would usually result in disappointment for the fly buyer. Not in this case! 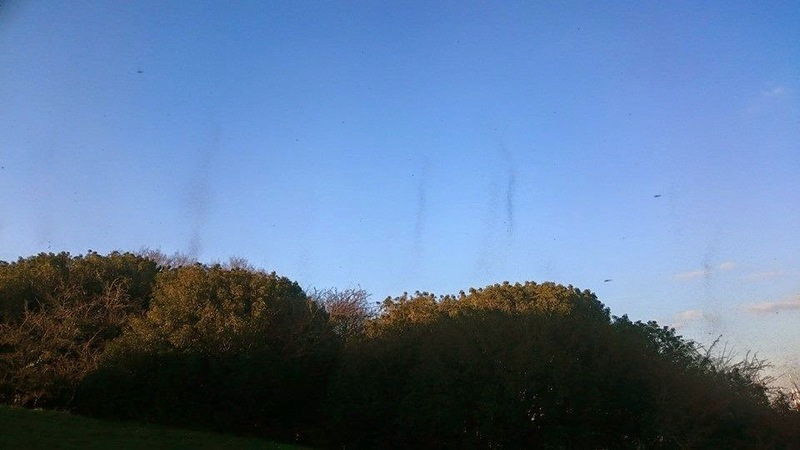 Even better, you can by the flies singly if you lose a few along the way. Each fly costs a ridiculously cheap £1 per fly. Really quire incredible. It is worth me pointing out that I have no affiliation with Barbless Fies. I have reviewed some of the flies available before and have been throroughly impressed by what I have found. These are a different generation of 'commercial' flies. Great products needs supporting... and I recommend these 100%. Every angler should get the set in preparation for the bonanza at the end of the month. You can order them here. 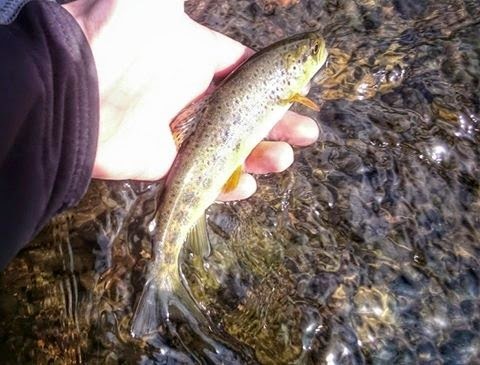 The start of the 2015 season has been kind. Both river and lake have offered the goods. 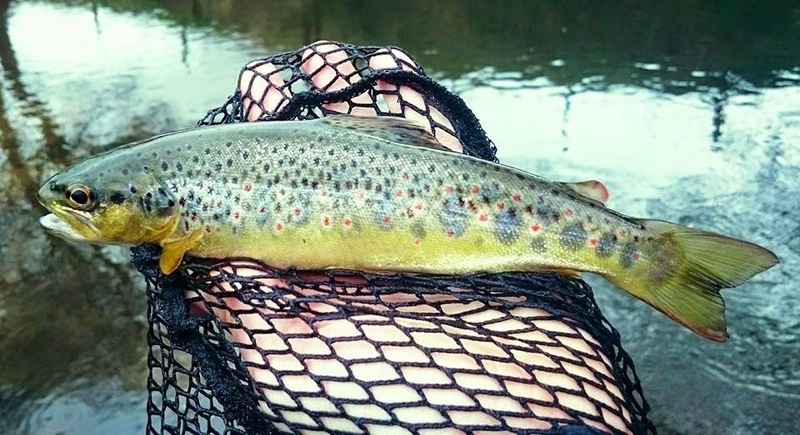 On the river, I am yet to tie on a nymph, with every fish willing to rise to a variety of different naturals. 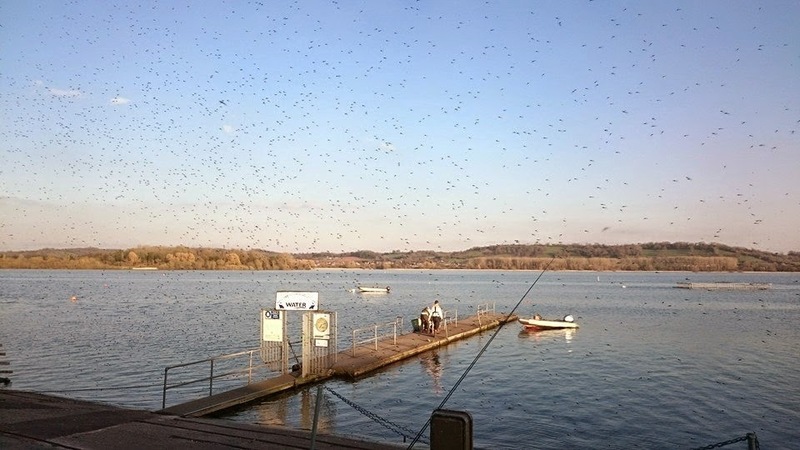 Mainly midges and Large Dark Olives have been on the menu. 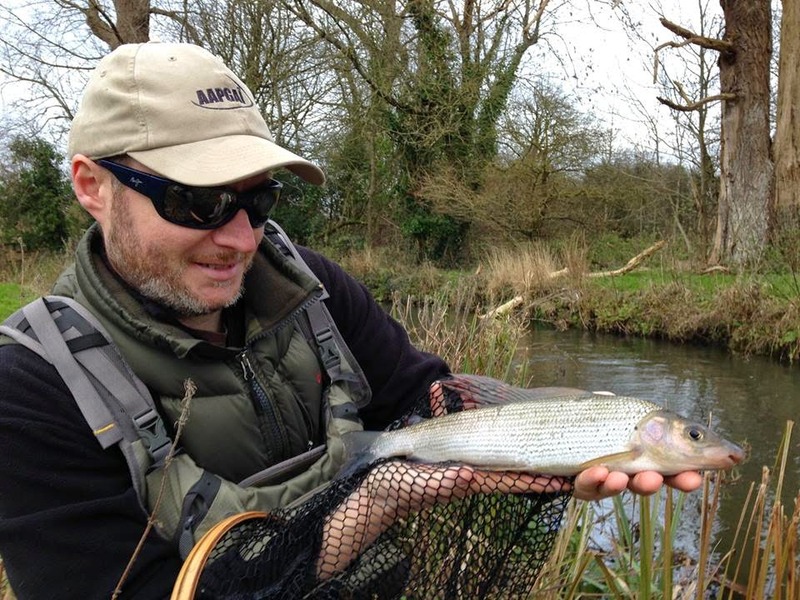 The grayling season is upon us, although it feels more like September. October 31st recorded 20 deg C and it feels strange!
. 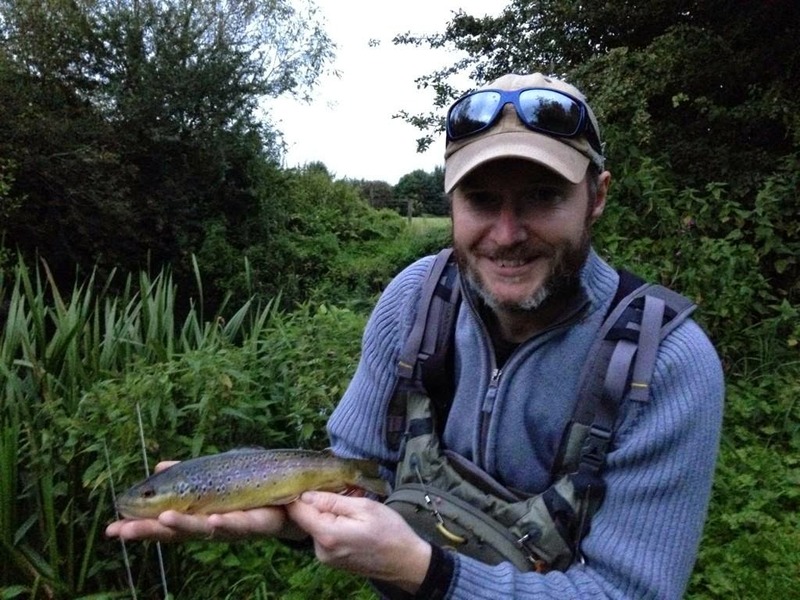 I have been lucky to find grayling on every visit so far, and whilst the largr fish are proving elusive, the fish I have caught have been on dries as well as nymphs. I am looking forward to plenty more! So it's time to keep the fly boxes filling up and I am delighted to announce I have been asked to be part of the Regal Vice pro-team. A great piece of kit and I'll be using it for my tying at home and at the shows. The next show is IFISH at the end of October where I'll be doing a demo on grayling bugs. I'll also be tying again at the BFFI next year. 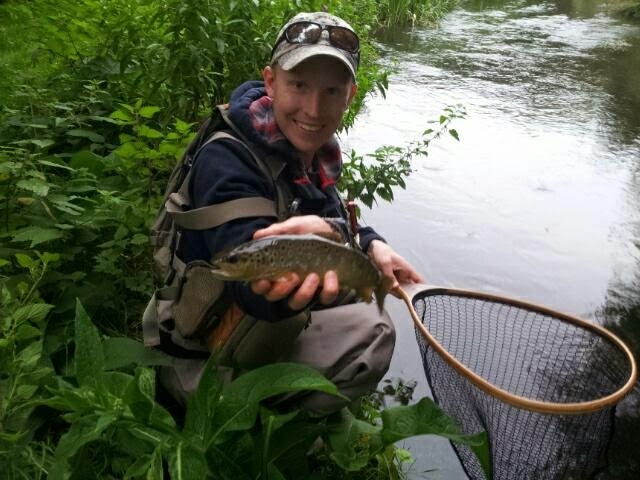 We are nearing the end of the trout season and I am looking forward to searching out some big grayling this year. Whilst I may be adding to the bugging box, my attention is currently on those fish feeding hard and preparing for the colder months. 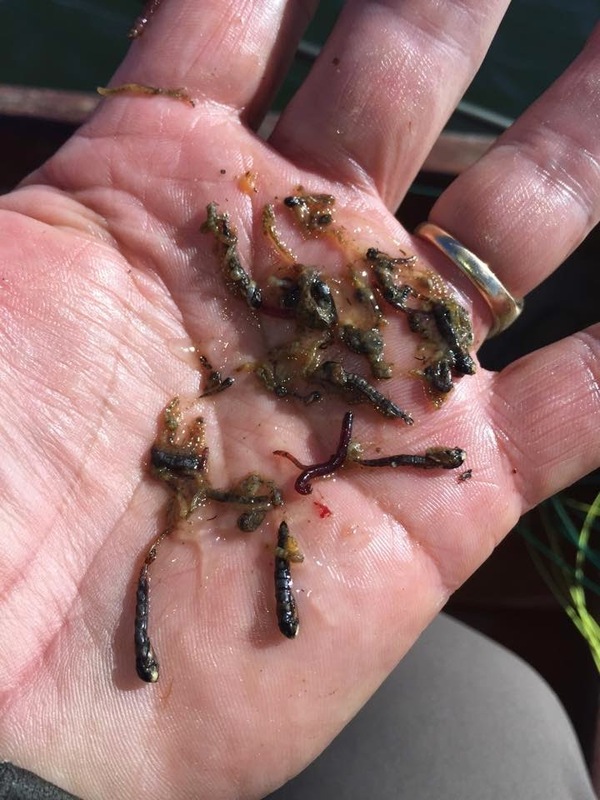 On the river, there has been some action with gnats, but stillwater fishing is at its best in September and October. The fish are starting to find their aggresive, hunting charateristics and are paying attention to the shoals of fry - their own harvest. 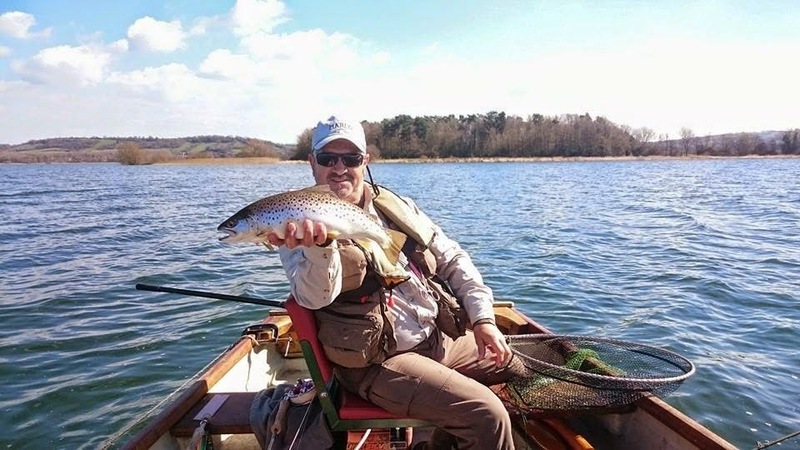 This can be electrifying sport - fish crashing though the shoals only to turn a mop of the injured fish left in the upper layers makes for stunning fishing. 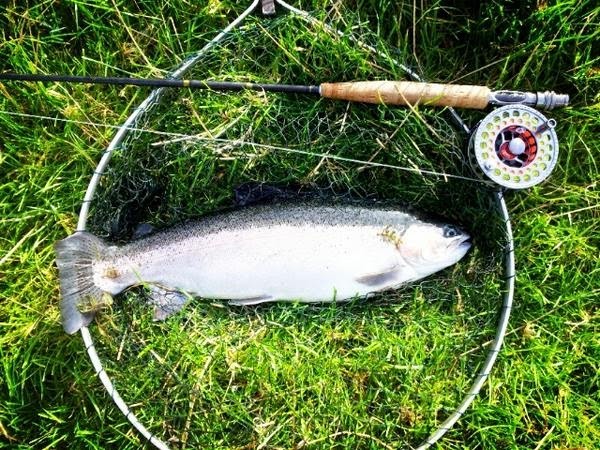 It can often sort out the better fish too. The fish are usually patrolling the edges of weedbeds and happy to swim in shallow water. In October's Fly Fishing and Fly Tying, I offered a muddler pattern that bridges the gap between corixa feeders and fry bashers. Worth a try when pulled, twitched or left to hang just below the surface. July and August have been tough with some high temperatures. A little rain at the back of end of August has helped freshen some of the rivers a little, but we are still flowing at Summer levels. 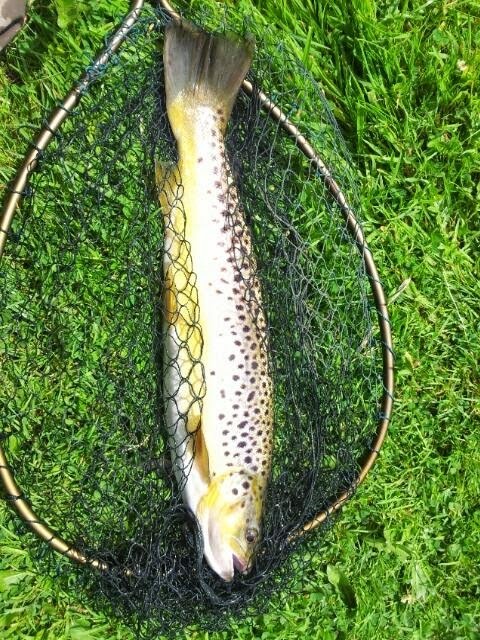 Hatches have been pretty good, but it has been caddis that have done most of the damage in the evenings. Indeed, other than a few nights, the Blue Winged Olives have remained a little elusive in comparison to usual warm, muggy evenings. 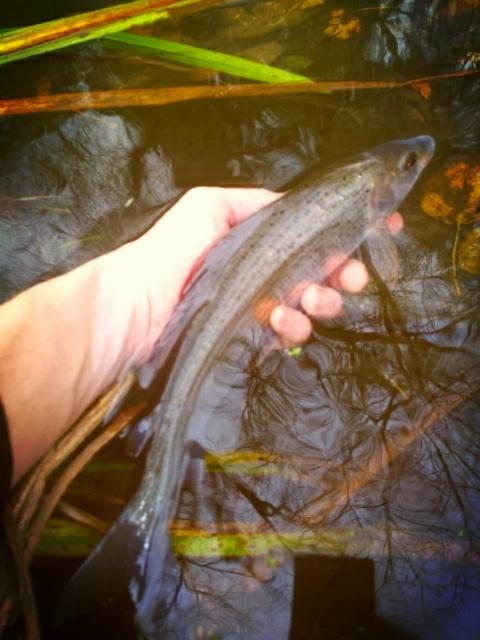 There are plenty of sea trout in the rivers too. 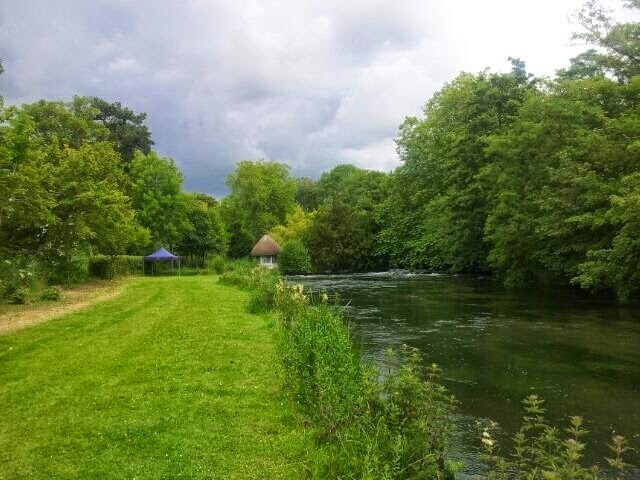 A drop in evening temoeratures have made fishing into the night a little tricky with a mist forming over the river - a sure fire way of ruining a good evening on the sewin! Still, there is one more night planned and fingers crossed it'll produce the goods. 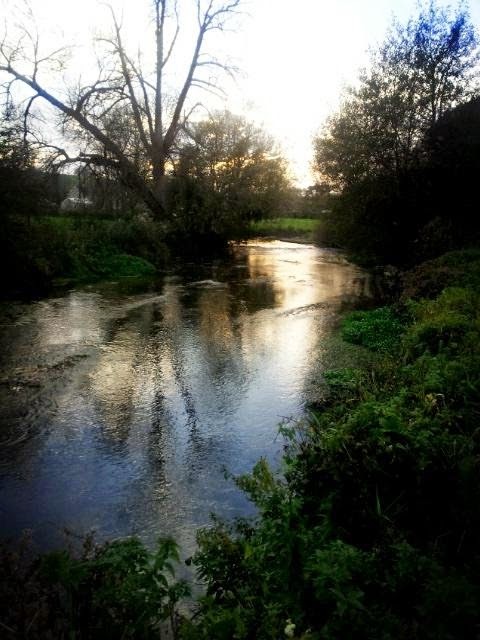 September and October offer some superb fishing and I am looking forward to the Autumn - a great time to be on the river. One on the BWO at last! 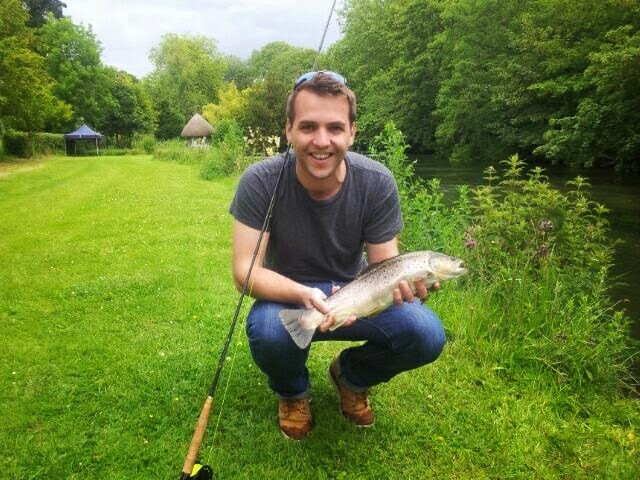 I am looking forward to reporting some great back end fishing. Watch this space! 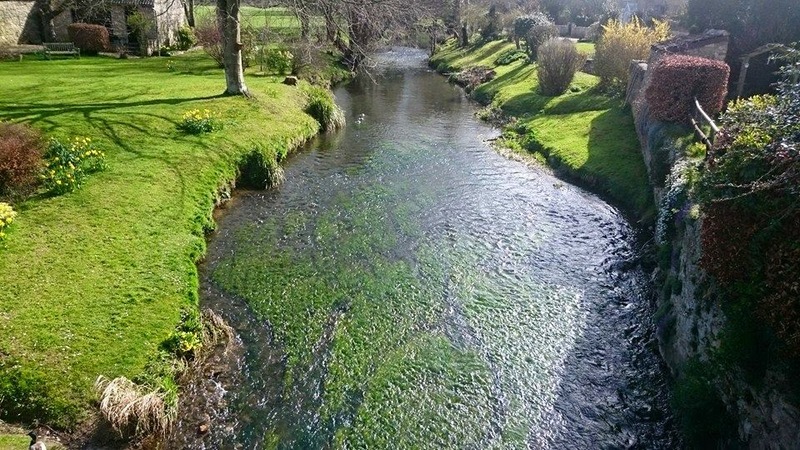 Whilst our beloved chalkstreams are looking peachy, other local rivers are finding themselves at summer levels. That makes fishing pretty tricky. In the day, it has been the long leader that has produced the goods. 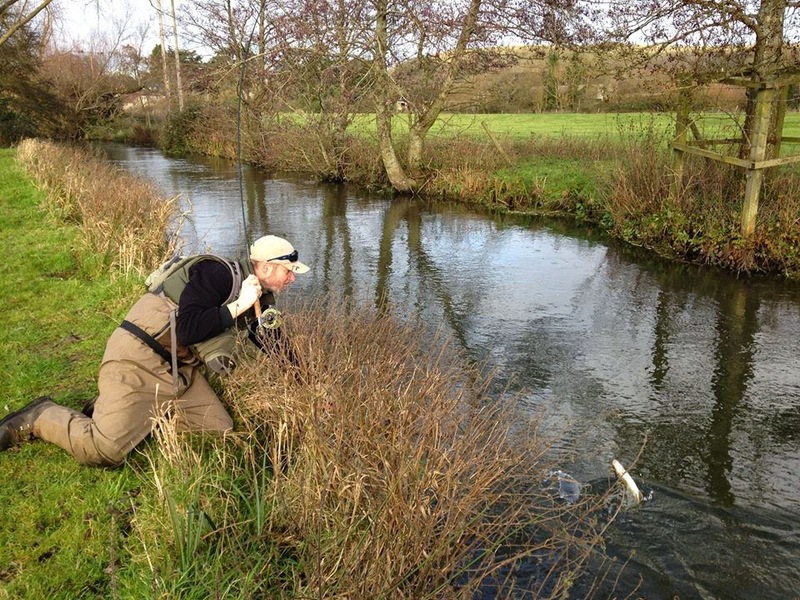 The stealth and presentation it offers really does help you to get amongst the fish. However, it's the evenings where the action really is. There are plenty of sedge around and fish will happily feed right into the darkness. There are the first signs of the Blue-Winged -Olive spinners littering the water too - afeeding opportunity the fish will make the most of. I have been lucky to get into some decent fish in the evenings... but the best is very much yet to come! 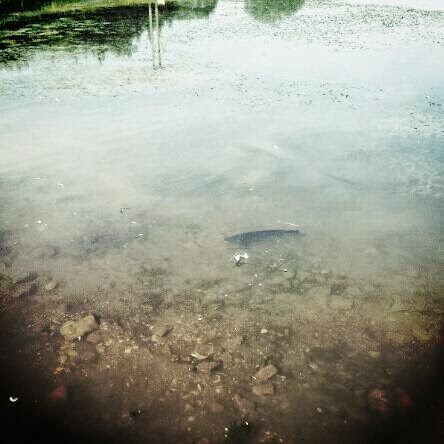 A late evening stalked fish chomping BWOs and sedge.